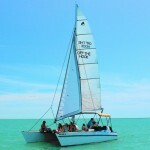 Marco Island boat tour for dolphins and manatees. Sailing shelling and sunset cruises. Things to do in Marco Island and Naples Florida with family and friends.